Teaching on this DVD is Jamie Humphries, the author of the Giants of Rock and Giants of Metal guitar courses. He shows, note for note, how the tracks are played and discusses equipment selection to get the right sound. Jamie also encourages improvisation on what you have learned. Contrary to the image on the cover, I believe that the 80’s style Armani suits are not included with this DVD. Repeat: there are no 80’s suits with this release. 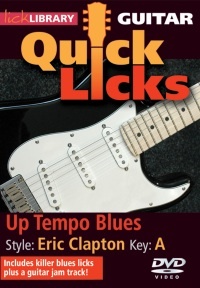 Quick Licks – Up Tempo Blues In The Style Of Eric Clapton (£19.99) Takes s slightly higher-level approach in that it doesn’t aim to teach you how to play though a number of tracks. 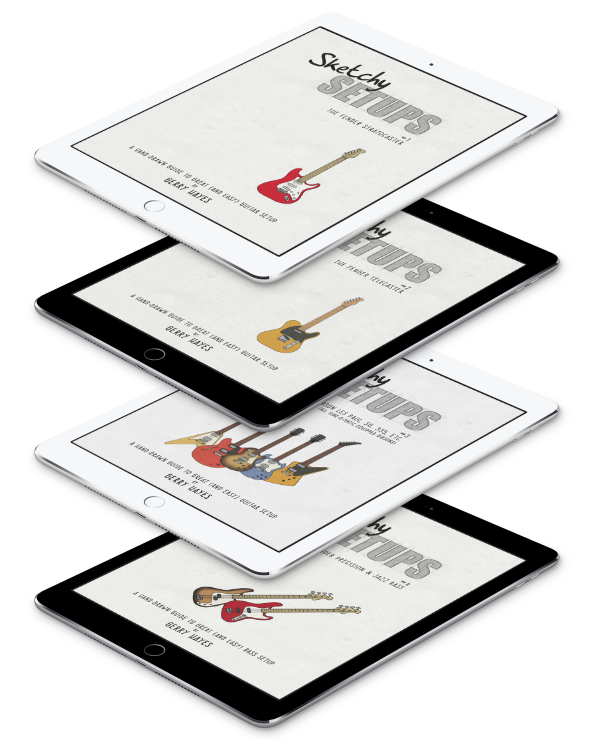 Instead, it provides you with a number of professional recorded backing tracks over which, you can practice the 30 or so licks and techniques you’ve learned from the DVD. Thought by Mike Cresswell, a guitarist and producer, the DVD demonstrates Clapton’s style and techniques. It gives two different views of Mikes playing hand so you can see clearly what’s going on. They’ve even added a third view/angle so you can learn more about the famous Clapton vibrato. 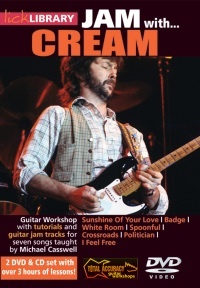 The third release, Jam With Cream (£27.99) is also presented by Mike Cresswell. This is a double DVD and also comes with a CD of jam-tracks. Both the DVDs and the CD feature Sunshine Of Your Love, I Feel Free, White Room, Crossroads, Politician, Spoonful and Badge. 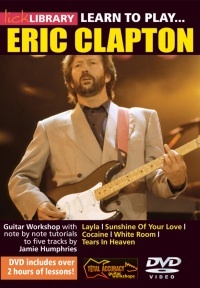 The lessons look at Clapton’s solo and riffing style. They cover techniques like switching between scales, plectrum techniques, instrument control and many more. There are three hours of lessons on these DVDs. Purists will note that the Jam With Cream DVD does not actually feature a Cream-era Clapton on the cover. Fashionistas will note the, rather spiffy, plaid waistcoat. Lick Library have tons more stuff. Check out Lick Library and you’ll likely find something there for you. You can buy online and they have over 20,000 other guitar tuition products. Actually, now, it’s over 20,003.